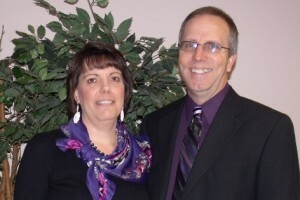 Willie and Kathy Hunter work with a unique ministry called Gospelink. Willie has been a staff member of Gospelink since January 2000. He currently oversees the work of Gospelink in Tanzania, Rwanda and the Democratic Republic of the Congo. He also represents the ministry of Gospelink in 20 to 30 churches and schools across America for the ministry on an annual basis. As the Director of Representative Care, he helps to train and encourage new team members that join the USA staff of Gospelink. If you know of other believers that would like to learn more about the Hunter family and the ministry of Gospelink, please let them know. Praise God for the growth of Gospelink over the past ten years. Currently they assist more than 1,200 national missionaries in 13 countries. Every day, 20 new areas hear the gospel, 1000 people trust in Christ and 4 new churches are started!